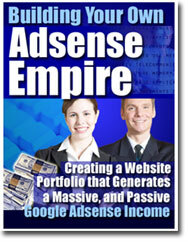 This powerful training e-manual contains everything you need to know – and we do mean EVERYTHING – so you can start making dramatic profits from Google Adsense. The difference between putting ads where they’ll be seen on your site and where they’ll be overlooked. How to automate your content, yet avoid being blacklisted by the major search engines for doing so. The secrets of keyword-rich content - what it means, what it does, how to get it!